Hair loss, is it a thing that we only associate with Men ? 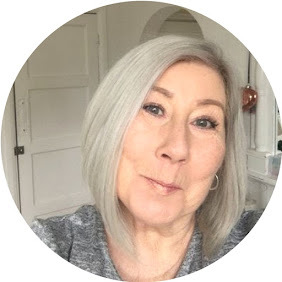 I think that often it is and we overlook the fact that it can happen to women of any age at any time, for a number of different reasons, as you may recall from previous posts I have mentioned that my eldest daughter in her 40's is suffering from thinning of her hair, fortunately we are blessed with thick hair, so hers is not noticeable to anyone other than her, but it has been falling out by the handful every time she brushes or washes her hair, having taken tests at the GP it was diagnosed that she was lacking in Vitamin D and has been taking his now for months, with the hair situation staying pretty much the same. 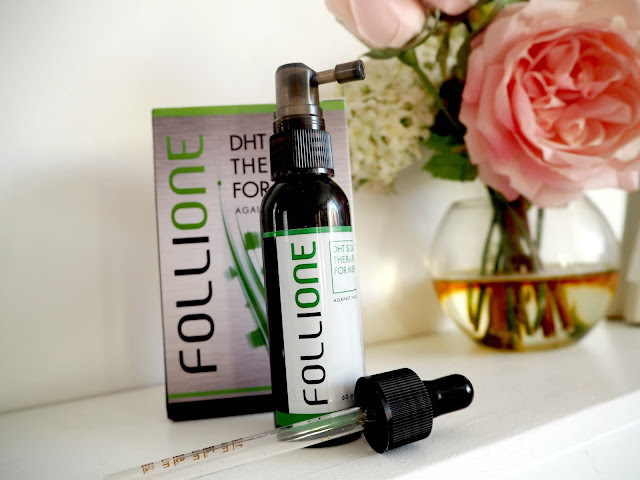 Talk about timing, I was offered an opportunity to try out FolliOne a product range specifically designed for hair loss, I of course, could not have tested the product properly, but I knew a girl who could, and my daughter was keen to try anything that may help and proceeded with a month trial of two products from the FolliOne range. 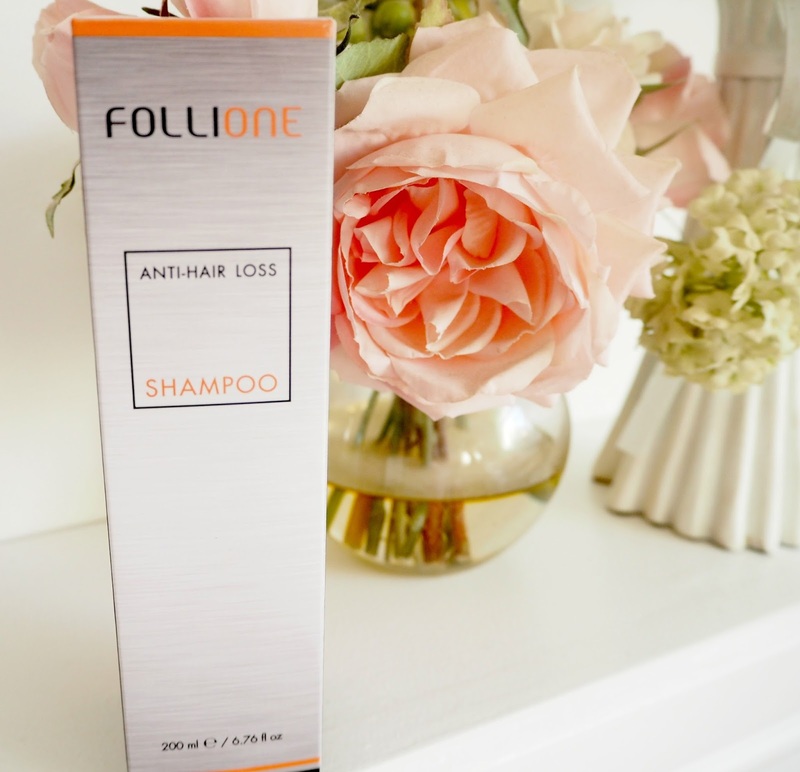 FolliOne Anti Hair Loss Shampoo. 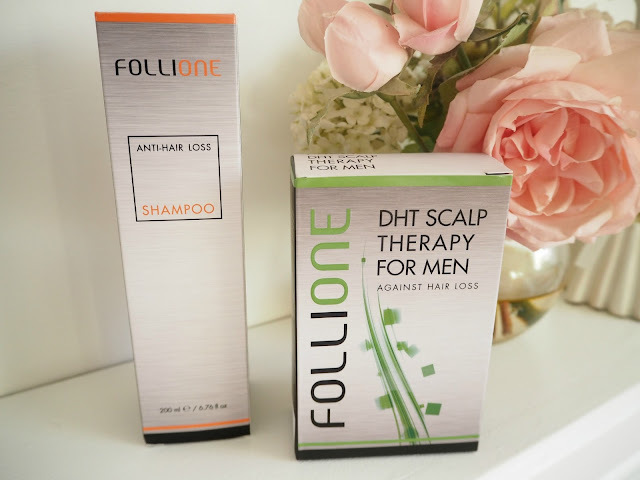 FolliOne DHT Scalp Therapy for Men. The packaging reads, not to be used by women, but I was assured that it was safe and the product package was designed with men in mind. Regrow Hair with FolliOne Extra Strength Growth Stimulator for Men: Safe Alternative to Minoxidil. Clinical Study Showed 66% Increased Hair Growth in 5 Months, Stronger than 5% Minoxidil Products. This liquid she found easy to apply with no nasty after effects, she says it didn't look or feel greasy on the hair and in fact no one would know you are using it. Conclusion: Bearing in mind that it has only been a month, there were definitely results, I am not saying she has Rapunzel length hair now, BUT there are small signs of improvement with the growth of baby hair, and the shedding has definitely minimised, it is recommended to use this on a regular monthly basis, and I can only imagine that the longer you use the products the better the long term result. FolliOne Shampoo for Hair Growth and Recovery. Regrows Hair in 2 Minutes a Day. Reverse Hair Loss Without Changing Your Routine. FolliOne DHT Hair Loss Scalp Therapy for Men. Regrow Hair Loss from DHT & Alopecia. Hair Growth Treatment for Men. Generate Hair Growth & Prevent Further Balding. Alternative to Finasteride for Hair Loss. One month supply.